Yamaha is a home name which is known to everyone in the market. The brand owes its success to its untarnished image of reliability. Yamaha is a brand that produces almost everything under the sun, starting from recorders to electronic products and also vehicles. 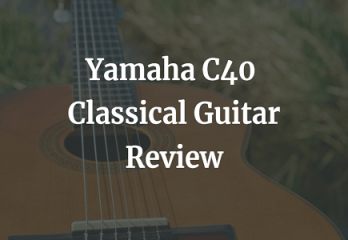 Yamaha FG800 review article will show you why this company is considered so reliable. 2.1 Why should people buy it? 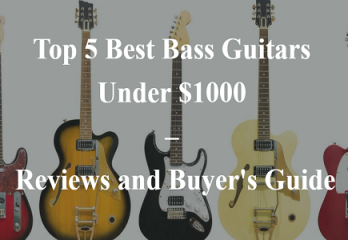 Not talking about specifics, there are a variety of guitars in the market for players. However, the main consists of acoustic guitars with either steel or nylon strings or also electric guitars. As the name suggests, nylon strings are easy on the fingers and are preferred by beginners. Steel strings, on the other hand, are preferred by experienced players and are a little on the difficult side to play. One of the major reasons for the success of this product is the reasonable price with which it has been introduced in the market. It is made up of solid Sitka spruce which is one of the most popular tones woods available in the market. The body type of this product is dreadnought with the bracing pattern being scalloped. The body of the guitar is given a glossy finish making it more attractive. The position of the guitar is made such that the orientation is specifically for the right-handed. The fingerboard is made up of Rosewood, and the neck wood is NATO. In contrast to the body which is given a glossy finish, the neck is given a matte finish. The neck of this acoustic guitar contains twenty frets. 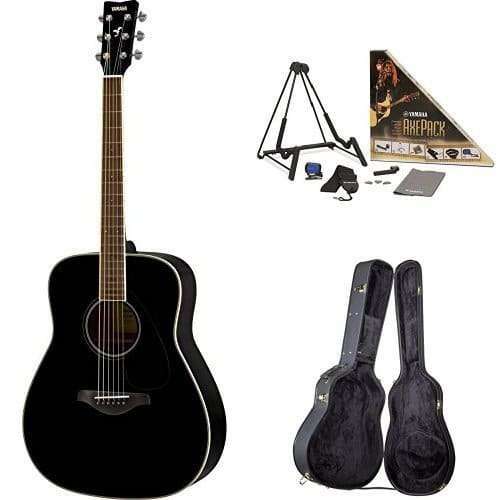 You have to purchase the case of this guitar separately because it is not given free of cost with the guitar. The head-stock overlay is again made up of Rosewood. The number of strings on this guitar is six, which is standard for acoustic guitars. Hex wrench comes as an accessory for this guitar. Die-cast chrome is the tuning machine which comes with Yamaha FG800 acoustic guitar. 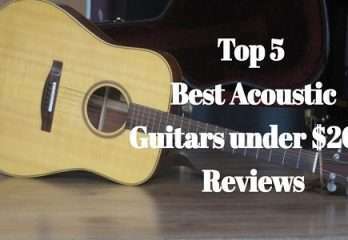 There are several reasons for purchasing this acoustic guitar which has been revealed by Yamaha FG800 acoustic guitar review. The major reasons for purchasing this guitar lie in its features itself. The guitar made up of solid Sitka spruce makes the light guitar weight which becomes very easy to handle. It also enables the guitar to emit a very smooth and mellow tone. 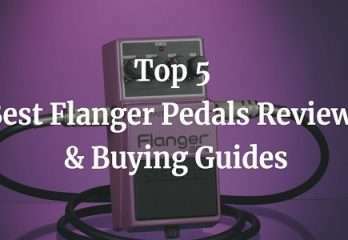 This makes it very ideal for a beginner because it helps them to handle the guitar very easily and the beautiful tone boosts their morale to continue playing. 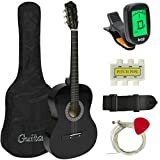 The back and the sides of the guitar is made up of Nato which again adds to the advantage of the players because it again makes the guitar lightweight without compromising on the tone of the guitar. As beginners tend to use this guitar more, they also tend to mishandle the guitar many times. But you need not to worry about the cost of repairs because NATO is relatively cheap among the different material which could have been used in its place. The inexpensive nature of this material makes it perfect for this guitar. It has been introduced in the market at a very entry level pricing which makes it highly inexpensive. The material used in the guitar is of high quality but of low pricing which will certainly reduce the cost of repairs in case of any mishaps. The reviews of the existing customers have specifically pointed out the good bass and resonance of this guitar. This feature will definitely enable you to please even a larger audience. There is a feel-good factor which you will certainly experience which playing this guitar. The simple reason being the outstanding sound of this guitar and the fact that it always stays in tune. You can use this guitar for jamming. 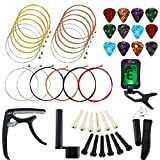 You can use it for a solo performance or even rock full band performance. It can be used as starter guitar on a stage performance before bringing in the electric guitars. There are two sides of the same coin. It has been very rightly said because even the greatest products in the world with tonnes of positive features are bound to come with certain disadvantages. However, in the case of Yamaha FG800 guitar, there are not too many of them. There is no top strap button which can be a small inconvenience for the guitarist if not a big one. This guitar does not have built-in electronics so it would better if you do not expect any such features from it. However, you can go for a magnetic pickup if you want to enjoy these features as well. NATO is lightweight which adds to the pros of this guitar, but there is also a downside to this. NATO is not considered to be a good tone-wood which can affect the sound of the guitar. There is no cutaway on this guitar so it would difficult to access the lower fret-board. Yamaha FG820 Acoustic Guitar which is comprised of customer feedback is overall very positive irrespective of the disadvantages that this product suffers. The customer is astounded by the quality of the sound of this guitar which is definitely in contrast to its price. The people who thought that the less expensive guitars do not have a good sound got their entire perspective changed when they played a song on Yamaha FG800. Though the appearance of a guitar has anything to do with its performance yet this guitar has a very elegant look which is definitely going to attract some attention. 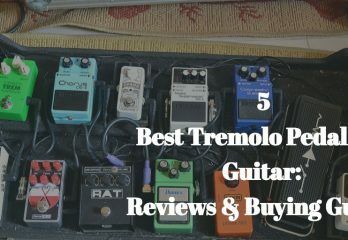 This guitar has been voted to be the best one for beginners and intermediate guitarist because it gives them more control over the instrument. It has been voted a complete value for money, and we suggest that the users are 100% satisfied with this amazing product.